A stroke can cause a number of life-changing effects. Some people are left unable to speak, whereas others may have issues with memory or may seem more irritable. Every survivor experiences different outcomes depending on what part of the brain was damaged during the stroke. Recovery also varies, so it’s important to be patient and get the right support during their rehabilitation. To learn more about what you can expect and how life changes following a stroke, read on. A stroke directly impacts the brain, and the brain is, of course, what controls our emotions and behaviours. So when the brain experiences an injury, such as a stroke, there can be biochemical changes that lead to episodes of anger, anxiety, irritability, depression or confusion. You or a loved one may also experience lethargy, depression, and even a loss of interest in engaging in regular activities. Fortunately, symptoms can improve over time with the right care. Sometimes a stroke can also impact the memory of a survivor. They may be more forgetful or even neglectful at times. Stroke survivors can also develop vascular dementia which can impact their memory, judgement, and even behaviour. It’s not uncommon for someone to need extensive recovery time and rehab support after a stroke. The brain may need to relearn old skills, and the survivor may not be able to perform all of those simple tasks that they used to do, like walking, speaking, bathing, feeding or getting dressed. 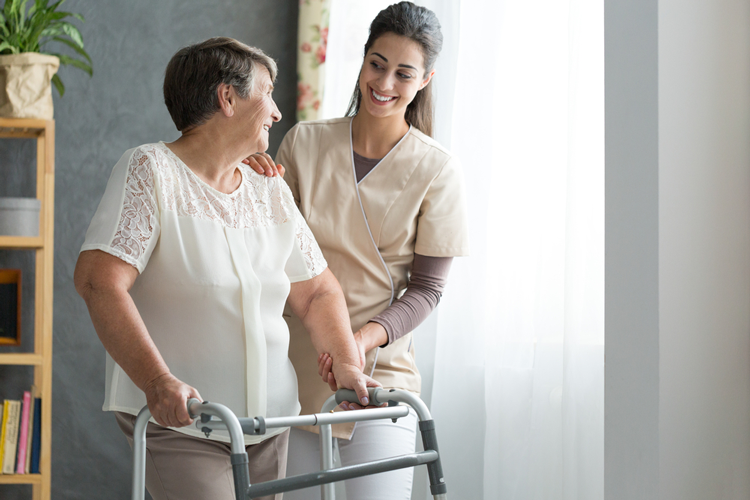 The situation is different for everyone, and a post-stroke care plan should be put in place to carefully meet the needs and interests of the patient in rehabilitation. Caregivers and family also experience many difficult changes following a stroke. Watching a loved one struggle and act like a different person can be very challenging to endure. Taking care of a stroke survivor can also be difficult in itself. That’s why having a trained private caregiver can make a world of difference. Strokes are life-changing events. At C-Care, we provide the appropriate level of care required for your family member after a stroke. Whether they need hospital care or in-home care, we can provide the support needed to help get families back on their feet. Our team is professionally trained to help stroke patients regain their independence and quality of life. Speak to one of our agents today to find out more about our reliable private health care services.